Injury to the ligaments in the midcarpal joint causes a loss of the coupled motion of the carpal rows. Specifically, this means that the proximal carpal row has an abrupt change from flexion to extension at end range for ulnar deviation instead of smooth coupled motion in the radial to ulnar deviation range. This abrupt change in position of the carpal bones is responsible for an often audible and/or painful clunk. It is not uncommon for people with MCI to have no history of a traumatic event or if they have a causative injury, it is often a distal radius fracture malunion. MCI is likely to result in a volar sag on the ulnar side of the wrist evidenced by a clunk/clicking/snapping at end range for ulnar deviation while the forearm in pronated (when the carpal rows re-couple). Other findings may include tenderness in the area of the triquetrohamate and the capitolunate intervals, and/or weakness with grip. The clinical test commonly used to assess suspected MCI is the Midcarpal Shift Test, also known as the pivot shift test and the catch-up clunk test. This test looks for the loss of coupled motion between carpal rows from radial to ulnar deviation and the clunk of the proximal row into position at end range ulnar deviation. To perform this test, pronate the hand, press palmarly (downward) on the capitate. 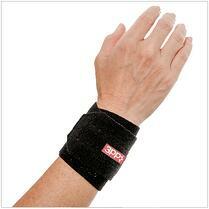 Apply and hold an axial distraction of the hand while you passively pull the wrist into ulnar deviation. A painful and often audible clunk or pain response is considered a positive response. A lateral radiograph with the wrist in neutral may be able to reveal MCI. The most useful imaging tool for this diagnosis, however, is fluoroscopy because the carpal mechanics can be visualized during movement from radial to ulnar deviation (with typically a quick “jump” of the proximal carpal row from flexion to extension when MCI is present). 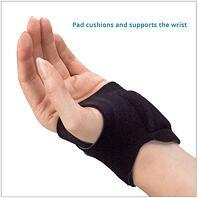 Treatment for MCI most often begins with trial of an orthosis for 3-6 weeks. A good option for this diagnosis is a pisiform or ulnar carpal boosting orthosis to realign the carpal bones despite ligament instability. 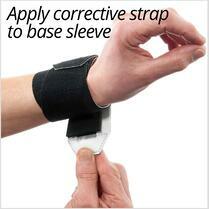 When the orthosis is worn, symptoms should be decreased and the clunking near eliminated. 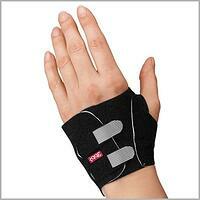 These products include the 3pp Carpal Lift and the 3pp Wrist POP Splint (Point Of Pressure), which can both be used to provide a boost to the pisiform or ulnar carpal bones. The 3pp Carpal Lift reduces the pain and popping sensation by incorporating a pad under the ulnar carpus along with adjustable straps that add a dynamic lift without pressure on the ulna. The 3pp Wrist POP Splint applies adjustable compression over the distal ulna and a counterpoint of pressure under the distal radius for stability and effective treatment. This blog is presented for informational purposes for healthcare professionals. We will gladly answer questions pertaining to products, however, we are unable to provide specific diagnoses or treatment recommendations for patients.